Why not tell that someone special why they mean so much to you with a set of 8 personalised photo memory cards. Whether you need to tell your significant other half how much they mean to you, your best friend how much you treasure their friendship or letting your children know how proud you are of them. This set of photo memories is the perfect way to express how you really feel about them and something they can keep and treasure forever. 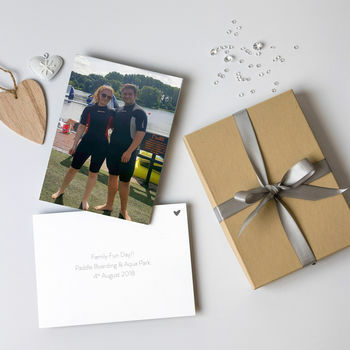 Send us your 8 images (300dpi resolution) portrait or landscape along with a personalised memory or message. Your cards are printed on 400gsm card, printed on both sides, with your image on one side and up to 3 lines of text on the reverse. Sent to you with the cards wrapped in tissue, in a Kraft gift box and hand tied with a beautiful ribbon. 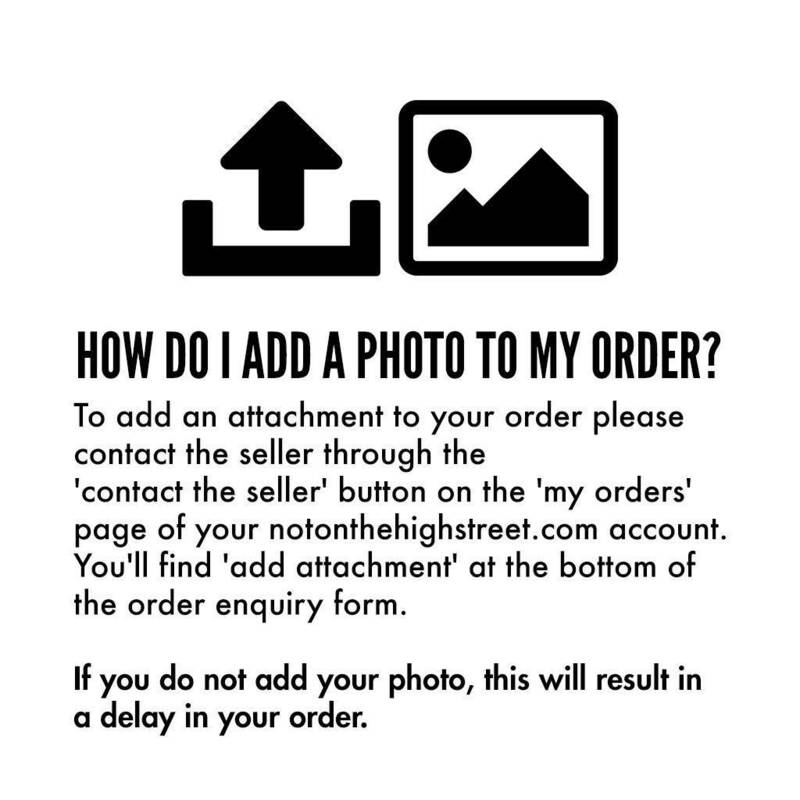 PLEASE NOTE: Before you upload your photographs please re-name them Memory 1, Memory 2 etc as this enables us to match up your pictures with the wording you choose.